As you near (and enter) retirement you probably favor bonds, which provide income with less drama than stocks. However, less drama means less potential upside. With retirees living longer than ever before, it’s important to not go too conservative too early in life. And fortunately today, even 65 or 70 may be too early! One suggested solution for our long life expectancy “problem” is to stay with stocks longer. But stocks can go down as well as up and a big pullback can inflict permanent damage on a portfolio. So, we want to capture the dividends that stocks pay and the upside potential that they provide by minimizing our downside risk. We can do this by focusing on hybrid vehicles that are designed to extract payouts and provide downside buffers. Let’s start with an underappreciated way to double your dividends from stocks you may already own. Not familiar with preferred shares? You’re not alone – most investors only consider “common” shares of stock when they look for income. These are the shares in a company you receive when you place an order with your broker. You probably know the problem with this approach. Common shares in S&P 500 companies pay just 1.8% today, on average. 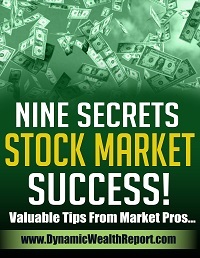 But you can double your yields or better and actually reduce your risk by trading in your common shares for preferreds. A company will issue preferred shares to raise capital. In return, it will pay regular dividends on these shares and, as their name suggests, preferred shareholders receive their payouts before common shares. They typically get paid more, and even have a priority claim on the company’s earnings and assets in case something bad happens, like bankruptcy. So far, so good. The tradeoff? Less upside. But in today’s expensive stock market, that may not be a bad substitution to make. Let’s walk through a sample common-for-preferred exchange that would nearly double your current dividends with a simple trade-in. As I write, JPMorgan’s (JPM) common shares pay 3.1%. But the firm recently issued Series DD preferreds paying 5.75%. JPM shareholders looking for more income may be happy to make this tradeoff. Meanwhile, Bank of America (BAC) common pays 2.3% today. But B of A just issued some preferreds that pay a fat 5.88%. That’s a 154% potential income raise for shareholders who want to trade in their garden-variety shares. But how exactly do we buy these as individual investors? Which series are we looking for again? A big problem with preferred shares is that they are complicated to purchase without the help of a human broker. 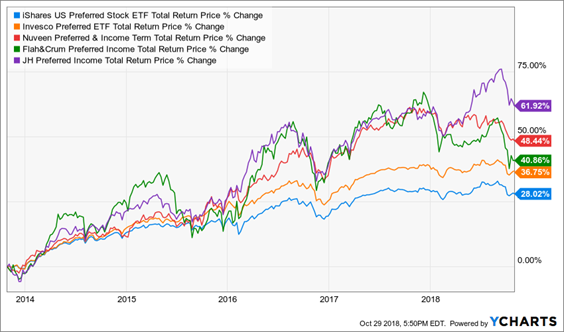 So, many investors attempt to streamline their online buys and simply purchase ETFs (exchange traded funds) that specialize in preferreds, such as the PowerShares Preferred Portfolio (PGX) and the iShares S&P U.S. Preferred Stock Index Fund (PFF). After all, these funds pay up to 5.8% and, in theory, they diversify your credit risk. Unfortunately, many ETF buyers have little understanding of preferred shares – let alone how a particular fund invests in them. Should we entrust the selection of preferred shares to a mere formula baked into an ETF? You’ll rarely get a deal buying an ETF. They don’t trade at discounts because their sponsors simply issue more shares to capitalize on any increased demand. We CEF investors don’t have this popularity problem; we can get a deal. We simply wait and only purchase CEFs when they trade at a discount to their NAVs (net asset values, which is the sum of the market prices of the preferred shares they own minus any leverage). When we’re shopping in the preferred aisle it’s a “no brainer” to go with the CEF concierge service. They yield more, they appreciate in price more, and best of all, the money manager is free when we buy at a discount. I require “free money” in addition to my high yields, so I prefer to purchase CEFs – preferreds or otherwise – when their discounts are high. And I like three funds in particular as my “best buys” for 8%+ yields right now. Closed-end funds are a cornerstone of my 8% “no withdrawal” retirement strategy, which lets retirees rely entirely on dividend income and leave their principal 100% intact. And know how to make their shareholders money. 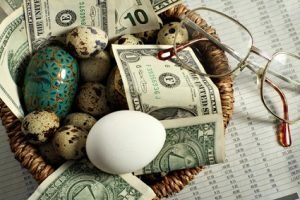 If you’re an investor who strives to live off dividends alone, while slowly but safely increasing the value of your nest egg, these are the ideal holdings for you. Click here and I’ll explain more about my no-withdrawal approach. Brett Owens is the Chief Investment Strategist at Contrarian Outlook.